Adding personality to your dorm room is a must, but how to do it on a budget? Having pictures from back home can be really comforting, but why just tape or tack them to the wall. 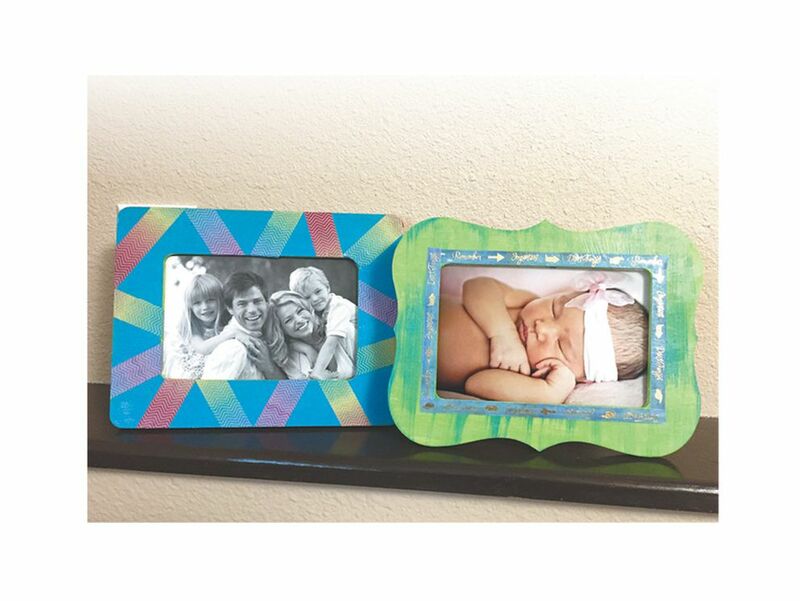 These easy, inexpensive projects will add instant personality to your pictures and your dorm! Step #1 – Take the backing and glass out of the wooden frame and lay it out on a sheet of paper or poster-board. This will protect your work surface from the paint. Using the foam brushes, paint the frame. You may need to do two coats, depending on how translucent you want to color to be. For a fun pop of color, you can paint the edges a contrasting color, or lightly brush a contrasting color over your almost dry base color. The number of colors you use is completely up to you – get creative! Step #2 – Once your frame is dry, cut shapes out of washi tape and arrange them on the frame. You can rearrange them a bit, however you may need to touch up paint just in case it peels up when the tape is re-situated. Step #3 – Once you like the layout, use a foam brush and apply an even coat of Mod Podge. This will seal the tape and paint, and keep it from peeling or falling off. Step #4 – When the Mod Podge dries, put the frame back together with your favorite picture! It's ready to hang on the wall or sit on your desk. Step #1 – What do you do if you have cinderblock walls, and hanging a picture frame isn't really possible? Create a frame directly on the wall! 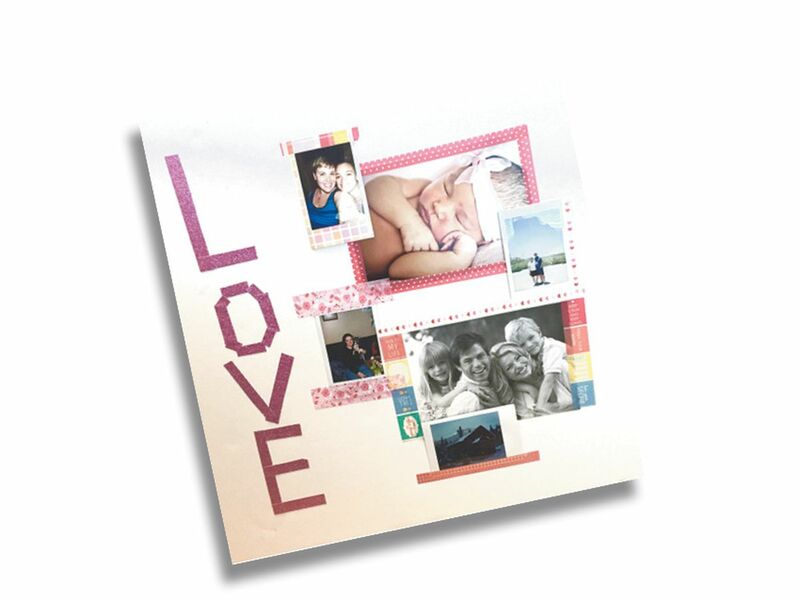 Step #2 – Cut a piece of washi tape the length of the top edge of your photo, and then attach it to your photo. Step #3 – Attach your photo to the wall. Step #4 – Now cut washi tape to match the length of the other sides of the photo, and attach them directly to the photo on the wall. Step #5 – Here's where it gets fun – you can create collages, experiment with the lengths of the tape, and create a custom piece of wall art! You can use as many tapes or different sized photos are you like. We used a complementary color palette to tie everything together.